We saw two late season bows this last week as NBC kicked off its two hour supernatural block which will run on Fridays for the next few months. In the 9 PM EST timeslot, Grimm had its Season 3 debut which was up from where it ended last year pulling a 1.8 rating in the 18-49 demographic with 6.2 million total viewers. That’s a good return for that show on that night and–after the expected post-premiere dip–it will likely hold steady with its numbers through the rest of the year as it coasts into a Season 4 renewal. 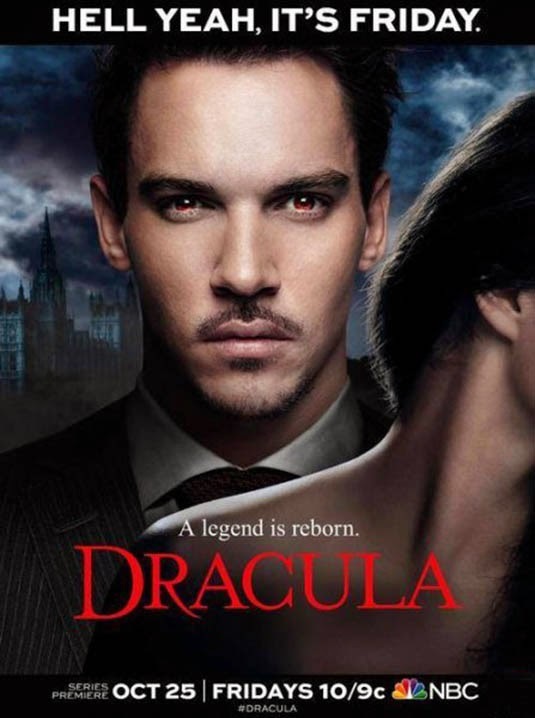 In the lead-out slot for the night, new series Dracula got off to a strong start as it pulled a 1.8 rating with 5.3 million total viewers and also won its timeslot among the broadcast nets. That’s a heck of a debut for a new show bowing on Friday at 10 PM EST, but then it has some name recognition because of its title character and NBC promoted it pretty heavily. Next week’s numbers will gauge if the premiere drew mostly curious onlookers and how many will actually stick with the show (especially considering that the critics were less than thrilled by it). And this one has been billed as a limited-run “event” series with only ten episodes currently planned, so theoretically it will wrap up its story at that time. But if it does keep up decent ratings (and in this timeslot, a score as low as a 1.2 to 1.3 could still count), I’m sure they will find a way to keep it going. And the guys over at TV by the Numbers pointed out that Grimm and Dracula scored better ratings than any other NBC scripted show that did not have The Voice as a lead-in–and these are Friday shows!–so that counts as a heck of a win for the network on this night at this point. Last Night, Sleepy Hollow was preempted by Baseball, and Beauty and the Beast again delivered another paltry 0.3 score with less than 900k total viewers. I don’t expect this show to still be on the schedule by mid-season, but then you never know with The CW. On Sunday night, The Walking Dead pulled a 6.8 score with 12.9 million total viewers. That’s another drop for the show but still well above any other non-sporting broadcasts on cable or the broadcast nets this past week and it even outscored Sunday Night Football on NBC. Over on Lifetime, The Witches of East End edged up a bit to a 0.7 rating with 1.8 million total viewers, as that one still performas well for its network. Also on Sunday, Once Upon A Time held its own against the Game 4 of the World Series and football as it actually improved its numbers from last week by a tick to a 2.2 rating with seven million total viewers. It was also the top non-sports program on the broadcast networks for the night, so despite its overall numbers drop from last year, it still appears safe for now. Last Friday’s Haven continued to hover low at a 0.4 rating in the 18-49 demo with 1.5 million total viewers. That one has reached the mid-point of its fourth season and doesn’t look likely to see an upswing in its numbers over the next few weeks, so it still remains on the bubble for its network. Also on Friday, The Neighbors was in repeats so we will have to check next week’s numbers to see if its decline will continue. On Thursday, Once Upon A Time in Wonderland sunk yet again, pulling only a 1.1 rating in the 18-49 demo with 4.4 million total viewers. That put it at fifth place in the 8 PM EST timeslot again, behind The CW’s Vampire Diaries which enjoyed a 1.3 rating with 2.6 million total viewers. By this point last Spring, ABC had yanked Zero Hour from the schedule after underperforming in that hour across three episodes. No word yet on Wonderland, though, so maybe they are giving it a bit more leeway. That show did slip out of the GetGlue Top 10 this past week, though, so its social network presence is definitely waning. Fans should keep their eyes open for any announcements concerning the show, but should almost certainly not count on it returning for a second season. Keep an eye on the Cancellation Watch Twitter Site for the latest numbers as well as any other ratings-related news. You can see the current status for all this season’s genre show at this link. And for more information on the ratings numbers and how I determine the Cancellation Alert status of a show, see the Cancellation Watch FAQ.